Blood Line is a high-voltage spy thriller that redefines rogue—the Granger Spy Novel series introduces a loving family with lethal issues caught in the crosshairs of global arms dealers. When a simple home invasion turns out to be not so simple, Ron Granger must put aside his quiet rural life and return to the Central Intelligence Agency. When you can’t trust anyone else, trust your family. 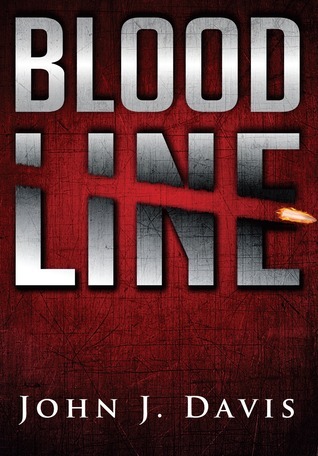 Bloodline, is a fast paced and action packed book from the beginning all the way to the end. It has intrigue, murder, mystery in who is the mole trying to kill Ron Granger, and his family. He has retired from the CIA, and both he and his wife Valerie have secrets that their daughter Leecy, does not know about. Ron must get in touch with his old handler from the CIA. Meanwhile they all need to be gone until they can figure out the, who, and why? This makes the story more appealing because as they are on the run they are explaining the back ground of the mother, later you get to find out about the father and together they make a killer team. The daughter just seems to be soaking this in not really panicking. Like I said this was fast paced and difficult to figure out at first but then when they start putting everything together it makes the story work. A very good book, with good characters and a good storyline. I got this book from net galley. 5 Stars.